The Lake County Forest Preserves is hosting an Open House on two Concept Plans that show major changes to parking at Fort Sheridan. We need YOUR feedback! Both plans show either NO PARKING ON THE SOUTHEAST END OF FORT SHERIDAN (where it exists today), or a dramatically reduced number of spaces in this existing lot, going from 83 spaces to 20. 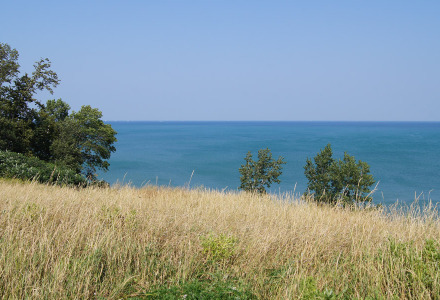 I believe that these Concept Plans will significantly impact the number of veterans, elderly, disabled, and families who can visit Fort Sheridan to view Lake Michigan from the bluff or the shoreline. By decreasing or eliminating parking from the existing area, it will be very difficult for less mobile people to enjoy this spectacular vista. PLEASE PLAN TO ATTEND THE OPEN HOUSE ON Wednesday, April 8th, 5:00-7:00 pm at the Midwest Young Artists (878 Lyster Road in the town of Fort Sheridan). Please feel free to contact me with any questions that you may have. As always, thank you for allowing me to represent you. The Chief County Assessment Office and the Lake County Township Assessors Association will hold several public outreach sessions to assist residents in completing the 2015 Senior Citizen Assessment Freeze Application for taxes payable in 2016. Taxpayers will also receive help on other homestead exemptions that may be available to them. Residents will work one on one with a staff member to complete the necessary forms. The Senior Freeze Application is due by July 1. Early voting runs Monday, March 23 - Saturday, April 4. Please note that your Early Voting site may be different from your regular voting site! Find your early voting site here by filling in your personal information and clicking "Where Do I Vote?" You can also call 847.377.2410. Remember to bring your current and valid government-issued photo ID! The Recorder's Office has implemented an additional service for homeowners to use to fight against identity theft and mortgage fraud. This new 24/7 service allows residents to sign up on the Recorder’s website to receive an email or text, alerting them when certain documents have been recorded against their name or property. Learn more. Are you traveling this spring? Make sure your passport is up to date! Renew your passport by sending it in the mail to the Lake County Circuit Clerk’s Office. Visit the U.S. State Department website for step-by-step instructions on how to apply or renew your passport. Take a look at this Traveler’s Checklist for other tips and reminders before you go on vacation. Low-Cost Pet Vaccination Clinic--open to ALL Lake County Residents, Cash Only. What can you do if your teen started using drugs? This workshop helps parents understand what's "normal" adolescent behavior, and provides guidance for parents of teens who are experimenting or in a pattern of use with alcohol or drugs. Parents will better understand trends in drug use, how best to respond, avoid specific traps like "I'm fine" and how to put your teen on a better path. Click here to register. Earlier this month I attended Lake County Partners annual meeting with more than 500 business and government leaders in and around Lake County. The two featured speakers-both widely respected economists- said Lake County has a very positive economic outlook and we are well positioned for continued economic success. In this video, hear from local leaders on how we are strategically working with our public and private partners to ensure Lake County remains a prosperous location in which to do business. Watch video. The IL Route 53/120 Project Finance Committee approved recommendations to fund the extension of Illinois Route 53 north into Lake County. The recommended financing package includes a variety of local sources and revenue streams to be presented to the Illinois Tollway Board of Directors for consideration. The current total cost estimate ranges from $2.35 to $2.65 BILLION. (See pages 12, 14 and 22 on the Feasibility Analysis for data on travel time saved, project cost, and funding gap). Read News Release for a summary of the findings. To celebrate your Lake County Forest Preserves, we put together a collection of some favorite images from 2014 and shared them on our Lake County Nature blog. Thank you to amazing photographers who donate their time and images! Their passion for wildlife and the outdoor spaces our we all protect is evident in each image, which were all taken here in Lake County. To see more images or to share your photos, join our group Flickr pool. DesPlaines River Trail Almost Complete! The wait is almost over! After 54 years in the making, the DesPlaines River Trail will soon be complete! Trail construction of the final section (just south of Riverside Drive to just north of Estonian Lane) is expected to begin in Spring 2015 and, weather permitting, will open to the public this summer! Hikers and bikers will be able to travel uninterrupted from the Wisconsin border to Lake Cook Road. Until trail construction is complete, please refrain from entering the property since it will not be safe for access until all improvements have been made. We’re planning a big celebration to mark the completion of this 31-mile trail! 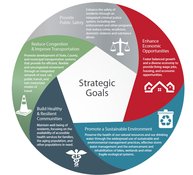 Click here to visit our Idea Exchange website to share your ideas. Our dedicated conservation volunteers work year-round to improve the preserves. Winter restoration activities primarily consist of controlling buckthorn plants. Restoration workdays happen every weekend at forest preserve locations throughout the county. No prior experience is necessary and all ages are invited. For details, dates and locations, visit LCFPD.org. Opening March 14 at the Lake County Discovery Museum, Growing Up in Lake County shares the everyday and extraordinary stories of children who grew up in the county. Try your hand at living and working on a pioneer homestead. Learn about the first African-American family to settle in the county. Attend school in a one-room schoolhouse and play as children did over 100 years ago. Through real artifacts, historical accounts and hands-on experiences, children connect the stories of the past to their own lives in this new exhibition for families. The Lake County Forest Preserve Ranger Cadet program is a great way for young adults ages 14 to 20, interested in law enforcement and conservation, to work and train alongside Forest Preserve Ranger Police. Call 847-968-3433 for details. On a cold night in January, volunteers set out to find, count and offer shelter to the unsheltered homeless population in Lake County. This Point-In-Time Count is conducted annually in an effort to end chronic and veteran homelessness as part of the Zero 2016 campaign. By collecting this data, we learn about the number of homeless people in Lake County, their stories, and how we can help. We are also assessing all sheltered homeless people in Lake County as part of this initiative. Please contact our Community Development Division for more information about the Point-In-Time count and homelessness assistance. In past newsletters I've written about the Lake County Opioid Initiative, on which I serve. In these first few months of 2015, six lives were saved thanks to first responders who administered the life-saving drug Naxolone, which reverses the effect of an opioid overdose. In the past five years, deaths as a result of opiate overdoses have doubled in Lake County. Due to decreased cost and increased accessibility, heroin use has become a public health concern that impacts all of Lake County. We recently recognized four Deerfield Police Officers who were the among the very first responders to use Naxolone in Lake County. The Health Department has trained 90 police officers to use Naloxone and is putting the drug in the hands of officers, thanks to a $1.4 million donation. Six Flags Great America in Gurnee is holding a job fair for full-time and part-time positions this Saturday on March 21, and this Sunday on March 22. Interested applicants are encouraged to apply online prior to the event.